On Tuesday, the House Judiciary released transcripts from Comey’s second closed-door testimony on Capitol Hill Monday as part of a joint investigation with the House Oversight and Government Reform Committees into the handling of the Clinton email investigation and his involvement in FISAGate. Comey was defiant and refused to answer questions about the memos he gave to his friend-turned-lawyer Daniel Richman who he authorized to leak to the New York Times. James Comey also promoted the Democrat talking point — and HUGE LIE that the junk Russia dossier was paid for by Republicans. Congressman Mark Meadows asked Comey who paid for the junk Russia dossier which was used by the FBI to obtain FISA warrants on Trump campaign advisor Carter Page, and Comey defiantly answered, “Who cares,” then pushed the Democrat lie and said Republicans paid for the dossier. “So you’re trying to share with this committee — and I want to take you — and that’s why I was asking you to verify this. You expect us to believe that you got notation that a private client is there and that you didn’t — you weren’t inquisitive enough to figure out who the private client was?” Meadows said to Comey referring to omitting Hillary Clinton and the DNC paid for the dossier to hide it from the FISA judges. Never Trump Republicans at the Washington Free Beacon told the House Intel Committee in October of 2017 that they gave Fusion GPS money from the fall of 2015 to March or April of 2016 to pay for oppo research against then-candidate Donald Trump. After the Free Beacon withdrew its funding from Fusion GPS in April of 2016, the DNC picked it up where they left off and continued the anti-Trump research project by paying Fusion GPS. Christopher Steele didn’t begin compiling memos for his junk Russia dossier until June of 2016, so the Free Beacon never paid for the dossier, but this is a talking point that the Democrats make and Comey echoed it during his Congressional testimony this week. Comey immediately trashed President Trump and lashed out at Republicans Monday after the testimony. He also refused to take responsibility for the FBI’s tattered reputation under his directorship. 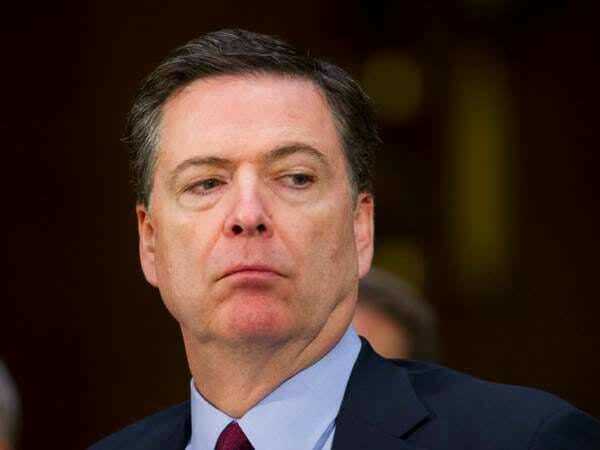 This biased lying leaker used to be the head of our premiere law enforcement agency, let that sink in.